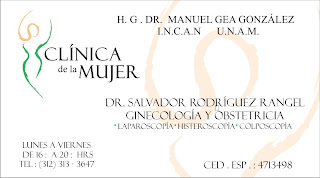 GINECOLOGÍA Y OBSTETRICIA /COLPOSCOPIA /CIRUGÍA LAPAROSCOPICA E HISTEROSCOPIA. *ATENCIÓN DEL EMBARAZO, PARTO Y CESÁREA. *DETECCIÓN OPORTUNA Y TRATAMIENTO DE INFECCIÓN POR VIRUS DEL PAPILOMA HUMANO, LESIONES PREMALIGNAS Y CÁNCER. TRATAMIENTO DE MIOMATOSIS UTERINA, ENDOMETRIOSIS, CIRUGÍA DE OVARIOS Y SALPINGES, INFERTILIDAD. 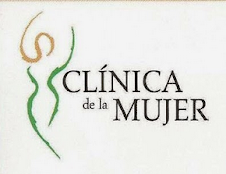 TRATAMIENTO DE HEMORRAGIA UTERINA ANORMAL, HEMORRAGIA VAGINAL EN PEDIATRIA, MIOMAS SUBMUCOSOS, MALFORMACIONES UTERINAS, ADHERENCIAS INTRAUTERINAS, TABIQUES UTERINOS, CUERPOS EXTRAÑOS ( RETIRO DE "DIU" TRASLOCADO), INFERTILIDAD. CALLE FRAY BARTOLOME DE LAS CASAS # 244 , COLONIA MAGISTERIAL, COLIMA, COL.
*HORARIO: LUNES A VIERNES DE 16:00 A 20:00 HRS.